Adidas has been running the world with their top tier sneakers – Ultra BOOSTs, NMDs and Yeezys, they everywhere – everyone has them, everyone is rocking them. That’s why the majority of people are overlooking smaller brands that hide under the adidas’s shadow. Personally, I’m now a little bit bored of wearing my adidas or Nike sneakers – I need something new, something original. Sooo, today I will do my performance review on the New Balance 247 Sport edition. The most slept on sneaker with amazing performance? Let’s find out! The New Balance 247 is featuring engineered mesh on asymmetrical toe box up along the tongue, as well as around the ankle area – this setup makes the shoe super soft, lightweight and breathable. Now, on the mid-foot as well as wrapping around the heel area, we have synthetic backing for giving the shoe more structure & support. This material combo is perfect, I’m telling you. If you do own a pair of adidas nmd, you know what I’m talking about. For those who don’t, I will quickly break it down. Mesh in the toe area has different density perforations, so breathability really shines in this model. In addition, engineered mesh itself is incredibly soft and with one bootie construction offers you seamless, sock like fit. This was almost as comfortable as Primeknit – that says a lot. The midsole is made of, how they call, REVlite Foam. Again, this sh*t is incredible – lightweight, very responsive and superb impact protection. The whole sneaker screams comfort and lightweight, love it. You’re getting tons of impact protection due to thick foam layer in the heel area, while the rest of the midsole is lower to the ground and gives more ground feel without sacrificing a lot of impact protection. I still received enough bounce in the forefoot area despite that lower profile. As I mentioned, that thick REVlite midsole is something else… I was completely blown away from its performance and amazing comfort. Of course, nothing can’t beat BOOST, but the New Balance 247 is very damn close. We got a honeycomb traction pattern all along the outsole. I will be short on this cuz there isn’t much to talk about in terms of performance. 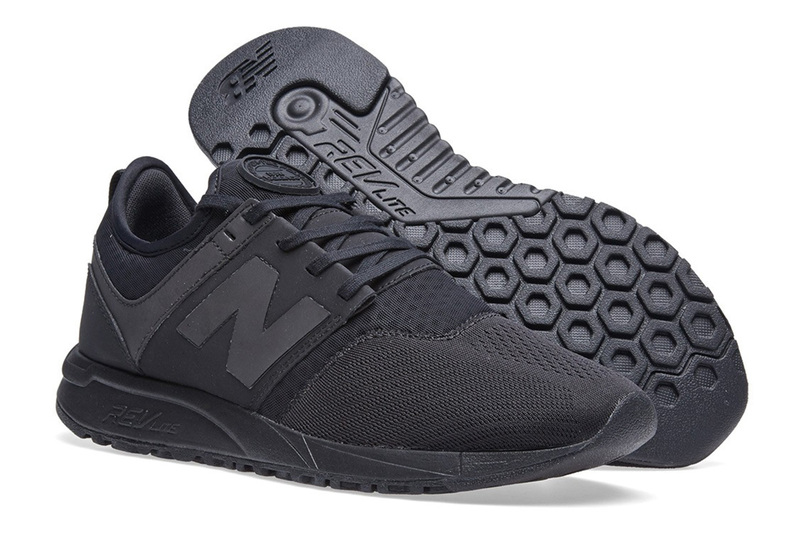 The NB 247 is a lifestyle sneaker, so you simply don’t need top notch traction. However, they will get the job done well if you’re going to use them for light trainings or short running sessions. After a few weeks of testing these bad boys, the outsole looks as new – no wear and tear signs or something similar to that. So if you’re concerned about durability, you really shouldn’t. New Balance brand does keep up with the latest innovations, that’s why the 247 is featuring one bootie construction and this is another reason why I fell in love with them. The collar area just hugs your ankle like a sock and gives you that unbeatable comfort & nice transition between your foot and the actual shoe. Also, I didn’t receive any problems putting them on due to very flexible mesh. Super awesome! Let’s talk about sizing. People with regular or narrow feet should choose ½ size smaller pair. Now for wide footers I recommend going true to size since they run a little bit wide. Again, this is not a performance sneaker, so don’t expect some major support features out there. However, we got synthetic overlays on mid-foot area that are connected with lacing system. When you lace them up, this synthetic backing hugs your foot tightly and locks it tightly. Also, the heel area has the same extact backing which act like external heel counter to keep heel in place. This is very minimalistic support setup but it offers enough support in all main areas where support is most needed. During the performance test I didn’t received any heel slippage or awkward foot movements. Maybe the New Balance 247 isn’t better than adidas Ultra Boost or nmd. Although, with this surprisingly awesome performance, premium build quality and $90 price tag they become a very serious competitor for main brand’s models. Just think about it, for just $90 bucks you’re getting premium materials, lovely one-to-one fit, amazing cushion setup, A+ comfort and that incredible lightweight feel – more than you can ask for. To finish everything up, I HIGLY recommend you picking them up, you will be surprised. Just give it a shot! 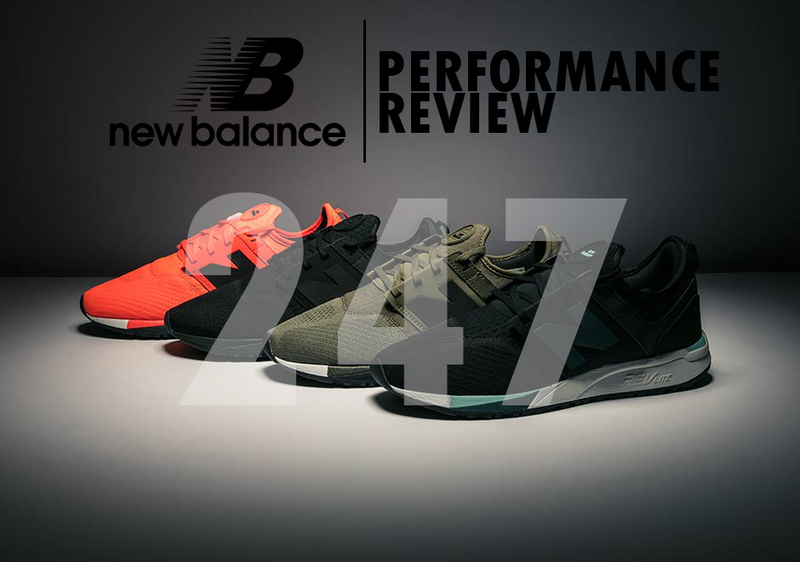 Hope you enjoyed my Performance Review on the New Balance 247 Sport. ← Nike Kobe A.D. NXT REVIEW – The Best Kobe Model? Nice looking shoe. I like New Balance shoes I have found them to offer the best support for me being a bigger person. Thanks for the review, I’ll go check them out. That’s nice to hear you found something that works perfectly for you. I’m a big guy too, so I know what you’re talking about – support was pretty damn good. very interesting information. but i have a question that i couldnet fined a solution for aver here. We, the whole family jog twice a week and going for a walk twice a weeek. what should be the best for us if want to use the same one for both? I have some option for you to choose from. 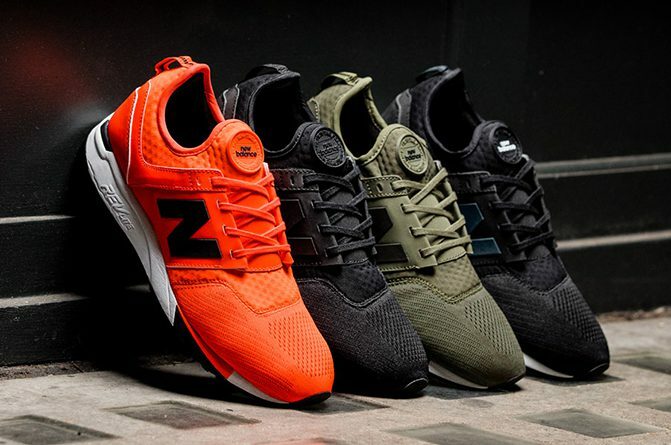 First of all, the New Balance 247 is a nice model for jogging or simple walk and you can buy them without breaking your bank. Also, if you have more money to spend, I highly recommend you to pick the adidas UltraBOOST – the best cushion setup & incredible fit. Now, if you’re more of a Nike fan then the Nike Air Huarache Ultra is perfect fit for you and your family. Man I am really careful about the mesh. The sport does not matter even the weightlifting gloves should have a good quality mesh anyway I really loved the design of the shoe. I have been looking for a good pair of shoes for running and the features of New Balance looks awesome. I will run times per week do you think will it last for 2-3 years? 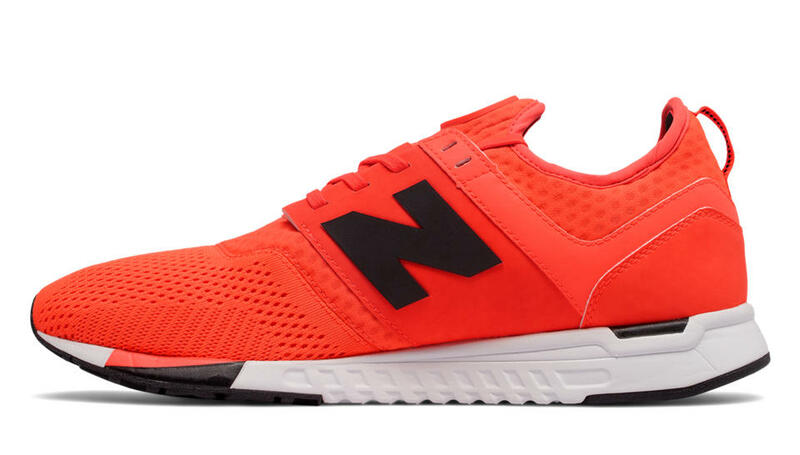 I wonder if the New Balance 247 LUX edition is better than sport? It’s really up to your personal preferences really. The 247 LUX has all leather upper as the sport version has that mesh/synthetic combo. Soo, LUX version gives you that premium feel while losing comfort and flexibility. On the other hand, sport edition offers incredible sock like fit and amazing flexibility to go with. Personally, 247 SPORT is way better in terms of comfort. Hi , very nice review. I Need a pair of sneakers with 20 mm of drop. 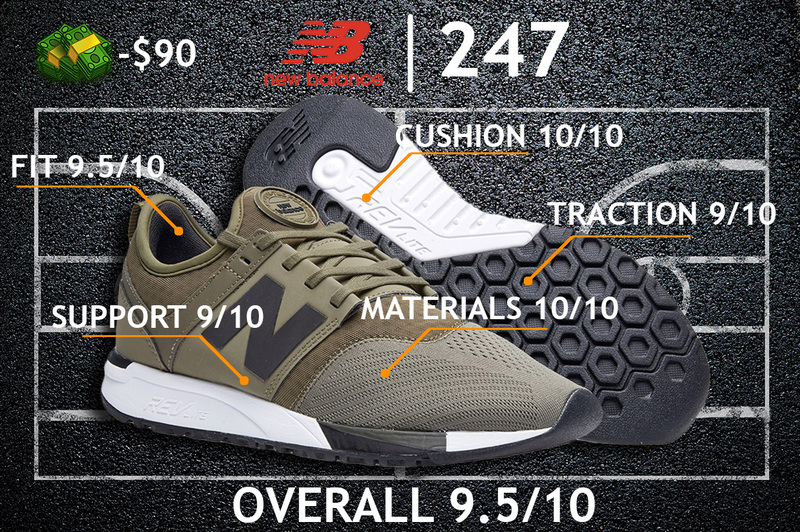 How much drop do the NB 247 have? Yo, I appreciate your support. The NB 247 have zero drop, unfortunately. The Kobe line comes in mind first when talking about drop-in midsoles. So you should check some of the latest Kobe sneakers, like the Kobe AD NXT, AD NXT 360 or Kobe 11.